If you listen to a lot of salsa music, especially Cuban salsa, then you may notice certain African words repeated throughout different songs such as “Chango”, “Obatala”, and “Babalu Aye”. 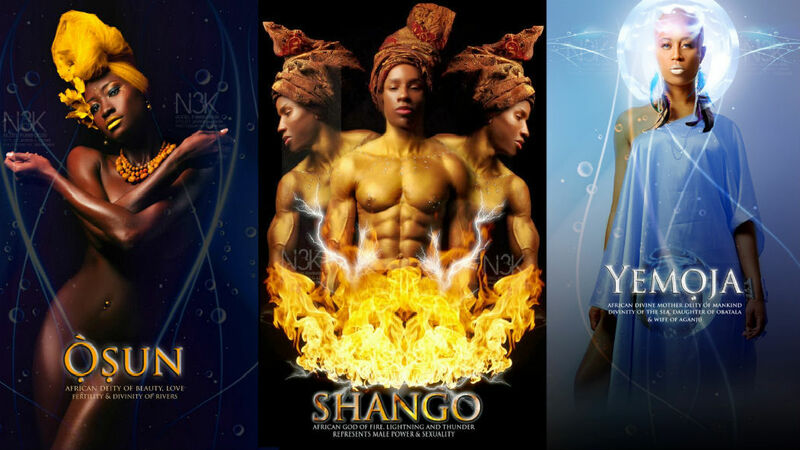 These are the names of the Orishas, gods and spirits of the Yoruba religion. In this article I will give you a brief overview of the Orishas and hopefully give you a deeper appreciation for salsa music and dance. The Yoruba spiritual system developed in the central Nigerian region known as Yorùbáland and was brought to the Americas via the slave trade. The religion spread to much of South American and the Caribbean, including Cuba. In Cuba, the womb of salsa music, the Yoruba religion was fused together with Catholicism to create a syncretized religion known as Santeria. In Santeria, many of the Orishas from the Yoruba religion were combined together with Catholic saints. For example, Chango was syncretized with Saint Barbara, Eleggua with Saint Anthony, Oggun with Saint Peter, and Obatala with Our Lady of Mercy. In this way the religious beliefs of the African slaves was mixed together with the beliefs of Spanish conquerors, a fusion of cultures which is so typical of Cuba and South America. The Saneria religion is characterized by many rituals, including animal sacrifice, sacred drumming, and dance. The followers of Santeria believe that they can communicate with the Orishas through music and dance, and there are rhythms and specific dance movements that correspond to different Orishas. Dancers often enter a trances in which their body is “taken over” by an Orisha, and the spirit communicates through their dance. The Santeria religion is still alive to this day, with tens of thousands of practitioners throughout West Africa, South America, and the United States. The religion has also made it’s way into popular culture through salsa music and dance. Many practitioners of Afro Cuban dancing incorporate dance movements that are inspried by traditional moves from the Yoruba and Santeria religions. Many salsa songs also use the Orishas as their subject matter or call out the names of Orishas during drum sequences, alluding to the Santeria tradition of summoning the spirits via drums. The next time you are listening to salsa music, see if you can identify when the Orishas are mentioned or if you are up for a challenge, looks up some of the dance movements that are associated with the various Orishas and incorporate them into your dancing. Doing so will help you to increase your appreciation for salsa music and dance. Let me know in the comments if you have any favorite songs that mention Orishas that I missed! if you don’t already know them, check out these songs. Y que tu quieres que te den – by Adalberto Alvarez is probably one of the biggest hits in Cuba about the Orishas and Yoruba in general. Agua pa Yemaya – by Elito Reve, another favourite, and Sin etigueta – by Paulo F.G. Enjoy! Thanks for the recommendations, I’ll check them out! Cool article. They are Cuban Hip Hop artists, but have you checked out the group “Orishas” at all? Also, Tony Avila has a song that is all about the Orishas. A question for you…what about Los Van Van or Pupy y los que son son? I have heard of the “Orishas” before, but I haven’t listened to much of their music. I’ll check them out! Thanks for the suggestion! That’s a great song. There is no such thing as “Cuban Salsa”. That name is an abomination. The music video by Machete that you posted….that’s from the 1950s. What was that music called then? The same it is called nowadays, except in the US. Son. it is all CUBAN. It was modified out of Danzón in the late 1910’s. Made in the early 1920’s, & stabilized as a structure by the master himself, Arsenio Rodríguez, in the late 1930’s; Hence why you have Machito playing THAT kind of music in the 1950’s. THAT style of music hasn’t changed much in the US since it was “doctrined” by a Dominican & an Italian in the late 1960’s until now. 1965 & on to be exact. Well, 8/26/1971 Cheetah Club in NYC. Actually, Son has been re-modified twice, by the same people who created it; Songo in the 1970’s (start of Los Van Van from 1969) & Timba in the 1990’s (started from NG La Banda). And secondly, SALSA is not even danceable. Much less playable. Why? Good question. SALSA is a marketing strategy, used by Johnny Pacheco & Jerry Mascucci (the Dominican & Italian named above), to promote Cuban Music. Well what the heck IS this Cuban Music I speak of??? – Chacha Chá….all these 6 genres of Cuban Music make up that word SALSA. Guaracha is fast Son (El Preso, Timbalero, Oh Mayi). In the Machito video, you cannot dance an Orisha dance to….that is more like a mixture of Son & Mambo (& FYI by Mambo I mean Mambo, Pérez Prado, Arsenio Rodríguez Mambo. Real Mambo. Not what NYC calls its stuff – no insult directed. People just really need to learn what they are speaking out loud). I must say very good information on what Orishas are. You have done some research into this. I would follow up on everything I have written. And do not look on google. I would like to thank MAK & JEN for pointing out Cuban ARTISTS. Very good names written up there. Hey Carlos, by “Cuban salsa” I meant salsa music that has heavy Afro Cuban elements in it, that typically uses the rumba clave as opposed to the son clave. This type of music has a very distinct sound compared to salsa dura, salsa romantica, Latin jazz, and other styles. I don’t know what else you would call this type of music– I typically refer to it as “Cuban salsa”. Mr. Takeshi, hi! Good afternoon, how are you? Question – did you not read anything I wrote in the “response section” of your blog? Please allow me to clarify one thing; I am not forcing anyone, who calls this to music as “salsa”, to immediately start calling it SON; but a couple of things in your response has led me to believe that it is apparent that my text was just skimmed. Believe me, I too know how uncomfortable it can be to one day start looking at something and say, “wow, I thought/was taught otherwise”; for I am only 27 yrs old. You wrote, …”has heavy Afro Cuban elements in it”…and that you call this CUBAN SALSA….are you just subjecting this to CUBAN ARTISTS? Why do I ask? One more, what do you refer to exactly when you state “Afro-Cuban elements”? I could keep going but I am trying to make a subtle point….three nationalities, all having heavy Afro-Cuban “elements” AND none of them having the Abakuá Clave, what most people who do not know, refer to as the “Rumba” Clave. 2) are you just subjecting this to CUBAN ARTISTS? 3) what do you refer to exactly when you state “Afro-Cuban elements”? 4) & the one just above all these. Your last sentences were these..”this type of music has a very distinct sound compared to salsa dura, salsa romantica, Latin jazz, and other styles”….of course it does lol. So does the music that Colombians like La Sonora Carruseles, Ensamble (the one I provided) produce…it is all SON. Some may be slower, some may be faster, some may have brass, others less brass, some may sing about romance, others may sing about politics….does not matter what the lyrics say, all is SON. It has a clave yes? It has a singer yes? A call & response? ok. ALL IS SON. Thanks for your very detailed responses. I am not a Latin music scholar by any means, so my statements are very much my opinion. I will say however that although salsa music evolved from Son, salsa today has a very distinct sound compared to traditional Cuban Son. Just go on YouTube and look up some traditional Cuban Son songs… although they share many common elements with salsa, they are worlds apart from say Salsa Romantica or Latin Jazz. 1) Changó Ta’Beni is a difficult song to categorize. To my ear it sounds like old school salsa with mambo influences. 2) I don’t think Cuban salsa has to come from Cuban artists, I just use the term to refer to songs that have strong Afro-Cuban elements, use the rumba clave, or have the distinct sounds of timba. 3) By “Afro Cuban” I mean rhythm heavy sections, like the first minute of “Donde Esta Mi Negra?” (https://www.youtube.com/watch?v=x4OZj4tDBLE) or the first minute of “O Mayi” (https://www.youtube.com/watch?v=UJ9QGt4IhF4). In modern salsa parlance, these sections would be referred to as the “Afro-Cuban” sections of the songs. 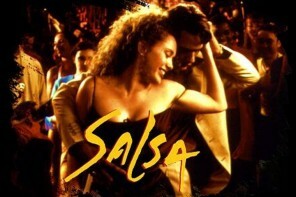 4) I think salsa is a mixture that can contain many different elements. There are many songs that borrow from different genres, so it can be difficult to categorize any particular song as belonging to one genre. In some senses “salsa” is a marketing term developed to sell Son to Americans, and in another it’s a catchall term that refers to a variety of different Latin music styles. Music and dance is a fluid art. There is no official governing body saying “this is is son”, “this is timba”, etc. Most people are more familiar with the term “salsa” whereas most people do not know what “son” is, so it makes sense to talk about the music & dance in terms of salsa. You forgot Para Oshun y Yemaya from Hector Lavoe, a real classic!! Thanks, that is a classic! Mr. Young you’re clearly missing the point Carlos is trying to make. 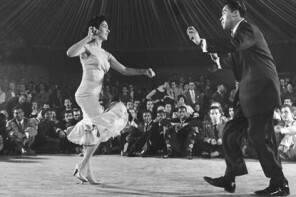 The term ‘Salsa’ was and has been used to market/ sell Cuban music ever since the 1960s. Cubans were bringing there music to NYC not Puerto Ricans or Dominicans or Colombians. Cuban music being Son, Son Montuno, Guaracha, Guajira, Cha-Cha Cha, & Guanguanco. The word ‘salsa’ is used so loosely nowadays it has lost its meaning since it was created. People refer it to just one genre as you did to Son but it is defined in the music world as being an umbrella term for ALL the Cuban genres listed. son is the correct term for the popular music we socially dance to and perform to. Son is a traditional music from Cuba people just fail to realize it for what it really is, Cuban. Why? I don’t know. No matter if it’s old Son from the 1920s or new Son from now it’s still Son. The ‘governing body’ would be Cubans, not all but the ones that do understand their music. History. Mr. Young, you’re in California you should look up Roberto Borrell. He can explain to you everything and then some. The only thing that has really changed to Son music is the addition of other musical instruments and sections of other musical genres such as hip hop and jazz. Like Carlos said, it’s all the same no matter the artist, no matter where they came from, and no matter the lyric. The format is there. I would suggest listening more closely to all the older music and then to all your favorite artist and then listening to Cuban artist. It’s the same format, same instrumentation, same montuno section etc. if it is explained to people what Son is and what Salsa is supposed to mean there would not be any confusion. The ‘strong afro-cuban elements’ you speak of make Son what it is. There is no difference. Even with the rhythm of each Orisha. That’s the beauty of the music of Cuba. It’s deep african roots from the Congo to the Yoruba religions. The song Chango te Veni is simply Son. What the people called ‘mambo’ in NYC is still Son music. Even the early Fania Artists knew that. They riffed songs and used Cuban artists songs that were unable to make it to NYC to record. I highly suggest that if you’re going to talk about salsa music that you’re clarifying that umbrella and if you’re talking about a specific genre like Son then mention it or Cha-cha cha or guanguanco. The ones who benefit are the ones who are eager to listen and be enlightened. I hope that all this information helps you in your future as a Sonero dancer and have a better understanding of what it is that we are really listening to. Just a small correction. The reason why the Orishas were synchronized with Catholicism was to protect the religion and the slaves. Slaves would be beaten or killed if the master found out they were practicing their original religion. So they hid it. Thanks to everyone for this thought-provoking discussion. I am eager to learn more about to what I am listening, and dancing. Your [collective] discussion helps. I will search for research resources. But, if the titles of any specific books occur to anyone. Please post them. Again, thanks to LDC and the authors for this forum, and to all of the contributors [commenters] for their input. I highly recommend listen to this cuban-argentine timba band! Best regards!